Aspire is once again leading the way in integrated healthcare innovation with the recent appointments of Practice Managers at several of our locations in central Indiana. 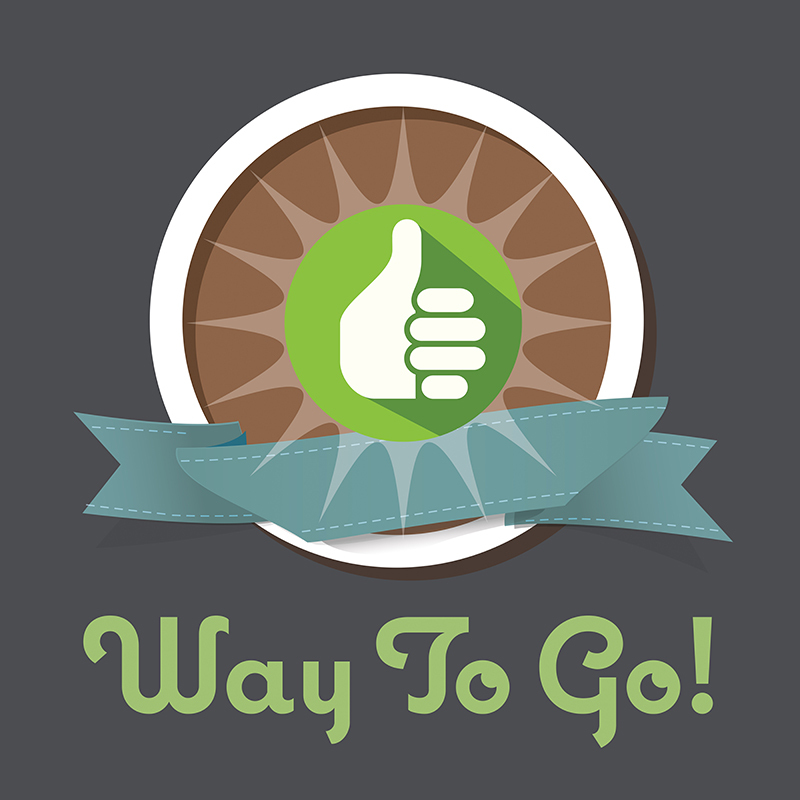 Donna Tocco at our Lebanon office, Paul Brown at Noblesville Outpatient, and Trudy Hudson at the DeHaven Building in Anderson were brought into the newly created roles as part of Aspire’s focus on improving efficiencies and becoming a high performing organization. Aspire’s Chief Clinical Officer Jody Horstman says Practice Managers are not common in the behavioral healthcare setting, but have long been managing administrative duties at primary care facilities. As Aspire continues to move into integrated care, the Practice Managers will focus on making workflows more efficient and effective for our clinical staff and for those we serve. Jody says Donna, Paul, and Trudy are providing a new perspective on operational issues and improving efficiencies by drawing on their extensive experience in healthcare and project management. Collectively, they have held leadership roles at hospitals, outpatient clinics, speciality and skilled care facilities, and in information technology. The new Practice Manager roles are continuing to evolve as leadership meets with relevant staff to assess and assign tasks to fit in the new structure. Welcome Donna, Paul, and Trudy! We are so glad to have you here at Aspire! The spotlight is shining brightly this month as several Aspire Stars were honored recently for their work in the communities that we serve. LouAnn LeMaire-Pyle received a prestigious award from the Domestic Violence Network for her over 20 years of service as an advocate for victims of domestic violence. She was honored with The Karen Dees Memorial Award at the DVN’s annual “Night with the Network” event in Indianapolis, along with other honorees including former Indianapolis Mayor Bart Peterson. 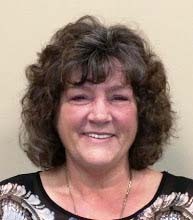 LouAnn has been directly involved in numerous milestones and initiatives for the prevention of domestic violence over the years, and continues to regularly contribute her skills and knowledge to the DVN as a mental health provider. To learn more about the DVN, please visit http://dvnconnect.org/. Mary Davis was recently honored for her service to the homeless in Madison County. Mary received the Lloyd Lambert Award from Anderson Mayor Thomas Broderick at the Salvation Army homeless awareness luncheon last month. We are also proud to announce that Lori Boram, a member of our Consumer Advisory Committee, won an IN-APSE Consumer Advocacy award! IN-APSE is an organization dedicated to promoting employment outcomes of choice for all people with disabilities. Aspire would like to say a huge thank you to LouAnn, Mary, and Lori for representing Aspire in such exemplary ways! You are superstars! We had a great time showing staff and community members around our beautiful new facility in Boone County on Thursday, November 2, 2017! All who attended the Open House at 1600 West Main Street in Lebanon were awed and impressed by the stylish and functional new space, which opened for business on September 25. With nearly 22,000 square feet under its roof, the new building was purchased and remodeled with expansion in mind. Aspire Indiana Health is on track to begin primary care services at the facility during the first quarter of 2018, with four treatment rooms, a laboratory, meeting rooms, and more up and ready to go! 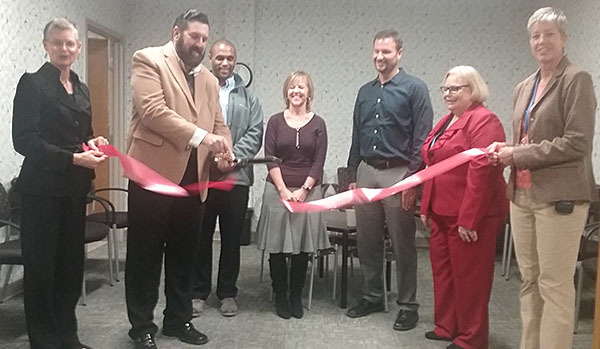 The new facility also provides ample space for the expansion of Aspire’s behavioral health services, which were formerly offered at Aspire’s old location on Ransdell Road in Lebanon. Our Boone County staff love their new workplace and its convenient location just off I-65. Aspire would like to thank everyone who worked so hard to bring this project to fruition, with special recognition for Aspire Controller and Facilities Director, David Wildman, Building Services Manager Pat Barron, and Maintenance Technician Joe Leising. We’d also like to thank our community partners for coming out to show their support at the Open House! For more information about our new Boone County office, please see our press release here and the Lebanon Reporter article here. Please help us recognize our Way To Go! Employees for October and November! Congratulations to these Aspire employees who received referral bonuses! You may be hearing about how it is now assumed that 50% of the adult population has high blood pressure. And you might be thinking: “Wow! How did this happen? The percentage has never been that high before!” And you are right! Many things change in medicine due to breakthrough treatments, improved or new research, or time tested experience. These things can cause the medical community, and ultimately your health care provider, to change the treatments they recommend. In the case of high blood pressure, the number of people with elevated BP did not change overnight, but the guidelines and recommendations did! The new guidelines put a blood pressure of 130/80 into the “elevated or stage 1” range, instead of the former 140/90. What does that mean for you? It means that if you have blood pressure greater than 130/80, your healthcare provider may suggest lifestyle changes like more getting more exercise, losing weight, and cutting back on salt. Medication may be recommended if you have an increased cardiac risk history. Confusing? Let the medical providers at Aspire Indiana Health figure out if you have high blood pressure and whether a medication or other treatment best meets your overall health needs. As change continues to occur in medicine, we would like to help you stay up to date and in good health! The year ended on an especially good note for Aspire’s Kids Talk and Aspire Indiana Health’s HIV Services. Kids Talk, our Child Advocacy Center in Madison County, received three new grants for it’s “Body Boundaries” and “Staying Safe in a Digital World” programs, which are presented in area schools. AIH’s HIV Services got a major boost with over $500,000 in new funding to be used to expand services in 2018. Thanks to the Pacers Foundation, the Samerian Foundation, the Kiwanis Club of West Anderson, and the Indiana State Department of Health for this important funding. Click on the links below for more details. Around 75% of all employees responding report they have the knowledge, training, confidence and comfort in recognizing and responding to people who may be at an elevated risk for suicide. 90% or more of employees who responded that they conduct suicide risk screening report they have the knowledge, skills, confidence and comfort in their abilities related to screening and assessing people for suicide risk using Aspire’s procedures. Between 80% and 90% of employees who responded that they provide direct care to people report they know the clinical workflow for people who are assessed at high risk for suicide. 30% of people responding have directly or indirectly interacted with a patient at Aspire who ended his/her life by suicide, demonstrating that the impact to employees is fairly widespread. Positively, for those that report having that experience, most report feeling supported by the organization and not feeling blamed. Throughout the survey, the number of employees who identify themselves as responsible for assessing, care-planning, providing clinical treatment, and/or providing for safe care transitions is around 50-55%., while 70% of all respondents work in a clinical position. Social Media - Be sure to follow us on Facebook!